Join us in the magnificent free-floating glass mezzanine dining space known as the Cube or sample local ales and signature cocktails in the bar. We lend wall space to local artists, and in the summer our French windows open into our lovely courtyard where you can dine al fresco while listening to live music. 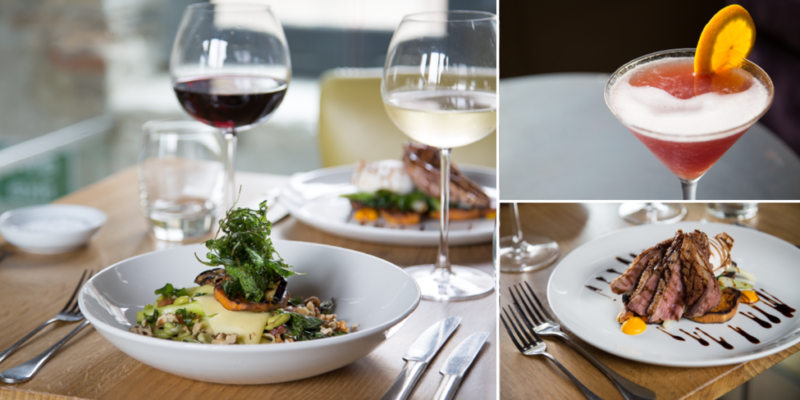 Our exceptional yet fuss-free cuisine is produced using locally sourced, high-quality seasonal ingredients. Please note that as we make all our dishes using only the freshest seasonal produce our menus change frequently and the menus displayed on our website are samples.